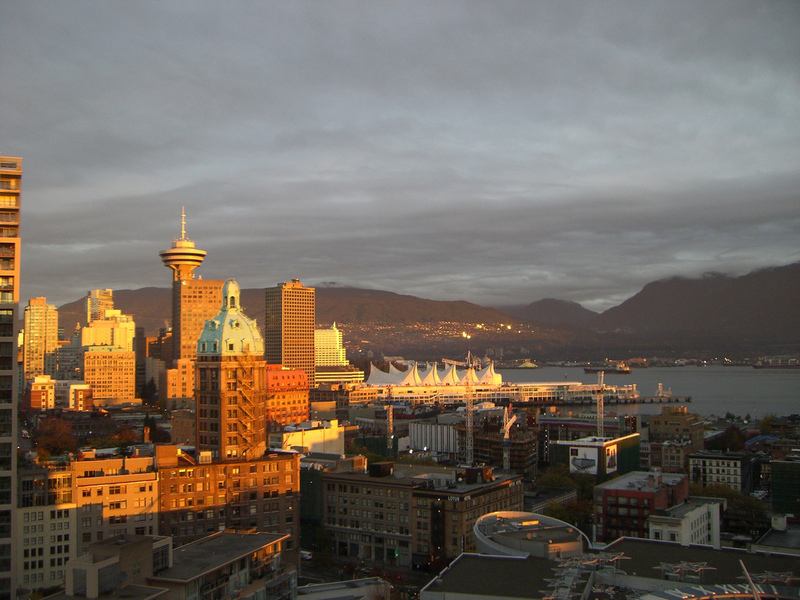 This photo was taken in October, but so far, sunrise in Vancouver looks about the same in June. The first day of Sadhana went off without a hitch. In fact, from where I sat, it felt comfortable and familiar. Savasana was short, and for reasons of time, we didn’t do two of the standing poses and one of the twists. I’m optimistic that by this time next week, we’ll be sailing through the full practice with 10 minutes for Savasana at the end. The first few days always take extra time. First, I have to give “the talk”: we all work at our own pace, we do nothing that the body says “no” to, we are all free to come into a rest position at any time. Then each person needs to find their appropriate variation of headstand and arm balance. And there’s the general early-days phenomenon: it’s all slower when you do it for the first time. Tomorrow’s practice is the essential pattern for Tuesdays, Thursdays and Saturdays as set out in Geeta Iyengar’s Yoga: A Gem for Women. What’s different from day one? Variations in headstand and shoulder stand replace the standing poses, and forward bends replace backbends. Because most of us are working to simply balance and hold in headstand, we won’t be practicing headstand variations. We will, however, work to our capacity in shoulder stand variations. Photo courtesy of chispita_666, via Flickr. Well day two of my sadhana practice at home…have received your postings and immediately went to “oh my god, what was i thinking?” …settled those thoughts…copied the practice to a word document and then went online to find images that would remind me what the poses were. Added images to my document so that each morning I now look at the pose, the sequence and the timing …and then remember…one pose at a time! I set my timer and work through the practice…modifying where i need to (but amazed at poses i am now able to do with the state of my knee). Genius idea to find photos and put them into a word doc. By the end of the 10 days I’m guessing you won’t need to look at the pictures any more. I’d love to hear how it goes – and thanks for commenting. I’m so thrilled that you are posting your Sadhana practice! I am with you in spirit and following along at home. I’ve been needing some inspiration for my home practice so this is perfect! I managed to get through the entire series in one hour! Good to hear from you, and great to have you along on the trip. Today will be a perfect day for slowing down – forward bends!